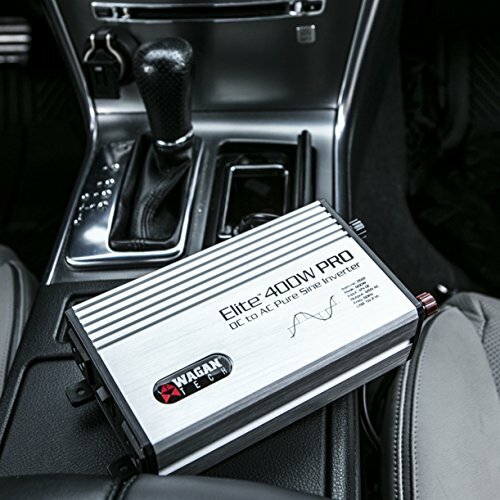 Wagan Elite 400 Watt Pro pure sine inverter is perfect for recharging devices on the go and for people with mobile lifestyles. Run your home appliances from your vehicle. 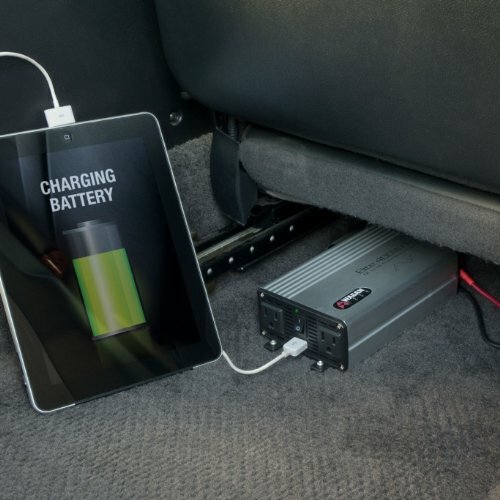 Simply plug the inverter into the 12 Volt DC socket (up to 150 Watt) or attach directly to the vehicle battery with the alligator clamps (included). 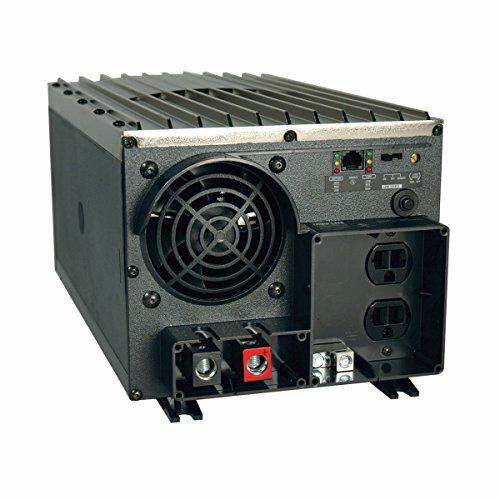 Provides 400 Watt continuous power and 800 Watt peak surge power. 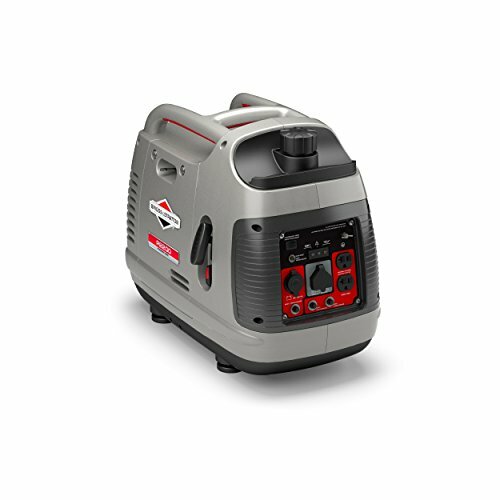 Features two 120 Volt AC outlets and USB power port (5V 2.1A) to power appliances such as iPad and other tablets, Kindle and other e-readers, cell phones, LCD televisions, MP3 player, video games, laptop, light bulb, etc. Includes several other features such as overload, overheat and low battery protection. Plus it includes built-in mounting brackets, grounding terminal, and neutral to ground bone (for marine applications). Wagan Elite pure sine inverters are ideal for sensitive electronics. Designed to be efficient, the pure sine technology allows appliances to recharge faster, save energy costs and extend the life of appliances. Electronics run cooler, quieter and cleaner when running on pure sine power. Wagan pure sine inverters are especially designed to increase efficiency and running time of electronic appliances and motors. 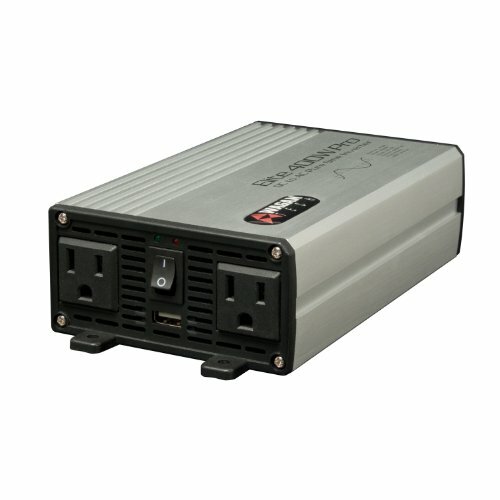 These inverters operate at less than 3 to 5 percent of total harmonic distortion on average and 90 percent efficiency across the line. This item is covered by a 2 year warranty. Note: If your vehicle has a built-in 15A fuse, do not exceed 180 watts on the cigarette lighter adapter. Any appliance running 150W from the cigarette lighter will run hot on a standard cigarette lighter adapter cable. 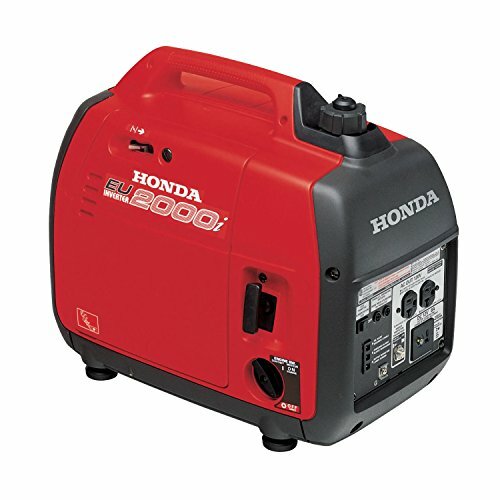 2 power adapter connections are included: a DC plug for up to 140 watts through a 12v socket, and battery clips for up to 400 watts.